The weather outside may be dreary, but that doesn't mean we have to settle for humdrum food. Want something fun and colorful to delight your palate? 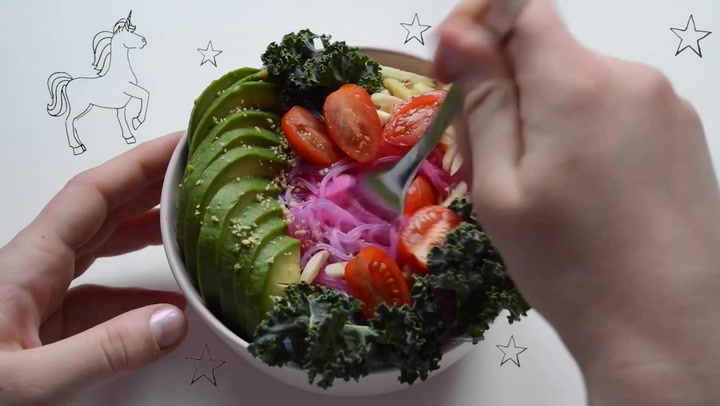 Try this recipe for pink-and-purple unicorn noodles! Chop cabbage into strips (don't use the white spine) and put it in a pot with the water.